Friendship is a relationship of mutual affection between two or more people. Although there are many forms of friendship, some of which may vary from place, certain characteristics are present in many types of friendship. Such characteristics include affection, sympathy, empathy, honesty, altruism, mutual understanding, trust and much more. Remember there are some friends you have to be careful with. It’s really important to know about the friends you might want to breakup with. It may be the time to identify what this person is really up to and whether this is a friendship worth keeping. This is a person who doesn’t like to see your success. Basically if every time you become success or have good news, your friend acts distant, it could mean they are jealous. A jealous kind of a friend gives the credit to someone else no matter what you did. A deeply jealous friend never acknowledge that you may actually have earned or even deserve good things that are happening to you. They put a big fake smile on their face whenever good things happen. 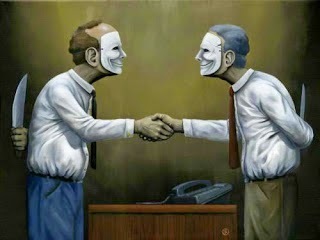 You can feel the smell of fake smile if you really know that person well. This person never supports you to make your own empire. Usually they find out mistakes, disadvantages of your successful work. They mostly talk behind your back rather than appreciate your achievements. It's all because they don’t truly happy for your success. Also this type of a person can’t share you with other people. In case of this, a jealousy friend can ruin your relationship for their sake. This is someone who needs to be one-up on you. They aren’t helping in need. They always try to change you when you are becoming success. A bossy friend doesn’t respect to your ideas and they try to guide you to a bad position. It makes them feel so good. This kind of a person may advice you more but never wants to see your best. Whenever you become success they will be aggressive. However they want to find something better than you but they won’t show how they really feel inside. If they ever get a chance to make you to be addicted to drugs or alcohol, they will definitely do it without any hesitate. They will appreciate your bad behavior and guide you to be a jerk. In the other hand we can call them as opportunists. This type of a person hangs out with you when it only suits them. Whenever you get tough or hard times, they start to reject or ignore you. This person always comes to you when they need something. They like to use you because you own a car, an apartment or home, lots of money or something more valuable than others. You may notice borrowing become an issue. They borrow your money and never pay you back. Actually they never return a favor. A cunning friend is really dangerous to trust because they may use your emotions against you. Be careful of them, cause they can emotionally blackmail you. Totally they try to playing around with your emotions to fulfill their dreams. The hardest thing to figure out about these people is whether they lie or tell truth. They may promise to be with you through thick and through thin but never be there for you. Indeed their actions don’t match words. At first sight you know what kind of a friend is this. This person always thinks about, talks about themselves. They don’t care what’s up to you or what’s going on around you. They are unable to separate their own thoughts from others. You couldn’t able to see their presence in your life events. Even for your happiness, they are not being with you. They just want to show up their success or boast about their properties. They never respect your anything. Either they don’t listen to you and never apologize. Also these people ignore you in a group to be highlighted themselves. ‘It’s all about me’, ‘me’, and ‘myself’ are the most common words inside them. It’s not easy to understand a fake friendship but even it’s not that hard to figure out a true friendship. A real friend is the one who motivates you to become success. Be with people who appreciate your good things rather than complain about each and everything of you. Be with someone who helps to make your empire. Be with someone who always keeps you up. Always avoid the people who try to pull you down. It’s better to be alone rather having jerks in your life. Think! What kind of a friend are you? Or else which types of friends you have? It’s time for a change.